Sometimes holding pads can be daunting for beginners and can be harder than doing the actual punching! You might feel like you’re wrecking your partner’s workout by stuffing up the combinations or not giving enough resistance but you have to remember everyone started somewhere, just like you, all it takes is practice. Hold the pad’s at your partners face height – Remember you are trying to mimic an opponent in front of them. For uppercuts hold at their chin height. Hold the pads close together – You are trying to mimic an opponent’s head so keep the target small. 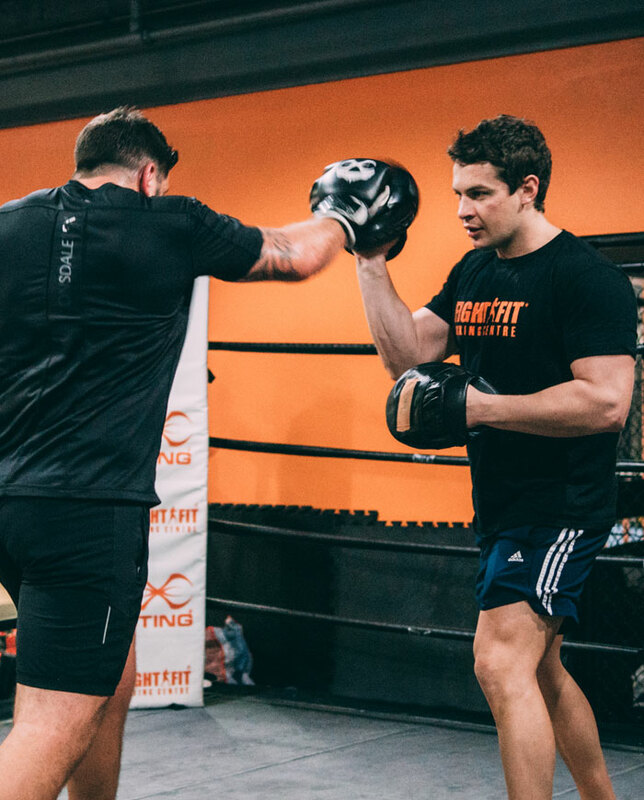 Give the pads resistance – Catching the punches is tricky, you want to hold the pads still but give resistance by sharply ‘high fiving’ your partners punches. Don’t extend your arms to catch the punch let your partner work on their range. Give your partner feedback – Don’t be shy to help your partner out, remind them to use their legs, rotate hips and shoulders, hands up, turn punches over, and to punch higher or lower if need be. Stand in your boxing stance – This gives you a good balance and also mimics catching punches in a real fight. Stay strong but remained relaxed in the arms. If your partner is new tell them to take their time and slow it down. At the end of the day it’s just another skill you have to learn and the only way is to practice!